Rose of York has been educating students successfully since 1989. We have a genuine commitment to ensuring that you, the students, learn English in a safe,inclusive environment and are able to take advantage of all the opportunities open to you here. These include a positive learning experience, a better understanding of British culture and an immersion in this amazing city where you will improve your English and make lots of friends from all around the world at the same time. Rose of York is located in the heart of London and offers students a rich cultural experience as well as providing stimulating, useful, authentic, fun and communicative lessons to help you develop and progress your English language learning. We hope you enjoy your time with us! General English is the perfect course for students who wish to improve their ability to communicate with people over a wide range of topics and everyday situations. 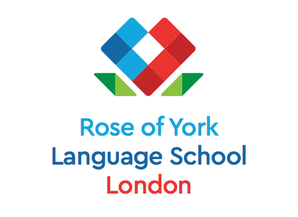 The experienced and dedicated teachers at Rose of York design lessons with students’ individual needs in mind and focus on delivering all aspects of language including vocabulary, grammar, pronunciation, speaking, writing, reading and listening. The IELTS Preparation course prepares students to take the IELTS exam and achieve their required score. This course focusses on the development of the necessary skills, functions and language required to succeed in the IELTS exam. This short- or medium-term course is focussed on preparing you for the FCE or CAE exams so that you perform at your best on exam day to achieve the result you want. This course provides students with the subject knowledge, study skills and academic language competency necessary for studying at a UK university. The University Preparation course will help prepare you for the demands of university, focussing on a variety of skills you will need such as practising listening to lectures, note taking and extended academic essay writing skills. This course focusses on developing the language skills and functions necessary to perform successfully in a variety of key business contexts and situations. Students will work with other like-minded learners who are enthusiastic about business English and you will be able to learn from one another as well as studying the necessary English.